Ribbed V-neck with contrast tipping. Mesh ventilation inserts. Engineered front panel; Tonal embossing on hem. Manchester United Football Club lightweight heat-transfer crest on left chest. Functional lightweight fabric. 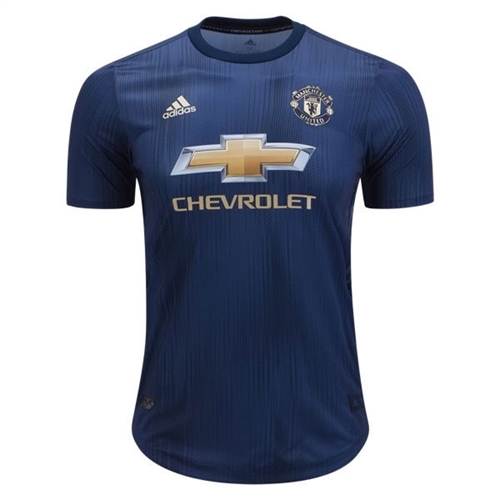 Our adidas Manchester United Authentic Third Jersey 2018-2019 is for when the Red Devils bring their intelligent striking and unbreakable defending to the home pitch. 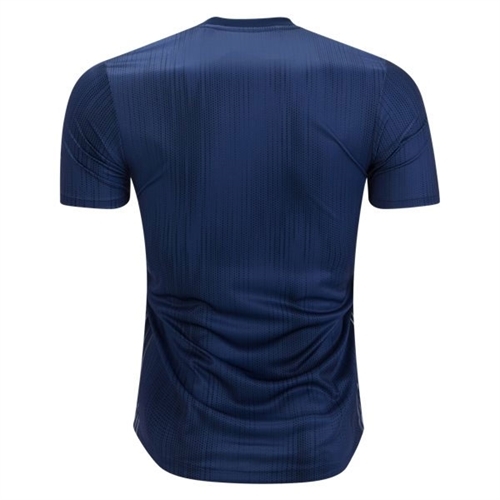 Created by fans for the fans this jersey is made from lightweight fabric, it features breathable mesh ventilation and their proud team badge on the chest.